Meporter is a location-based news app that enables you to write, photograph, and record video of your local news as it breaks, and then to share those stories with anyone who owns a mobile phone or has an Internet connection. Using the Meporter app on your iPhone or iPod Touch, you can take a picture, make, a video, or write your own story, and post it for the world to see — all in a matter of minutes. You can post about items for sale, new styles and trends, local politics, area businesses, yard sales in progress, traffic conditions – anything that’s happening in your neck of the woods. 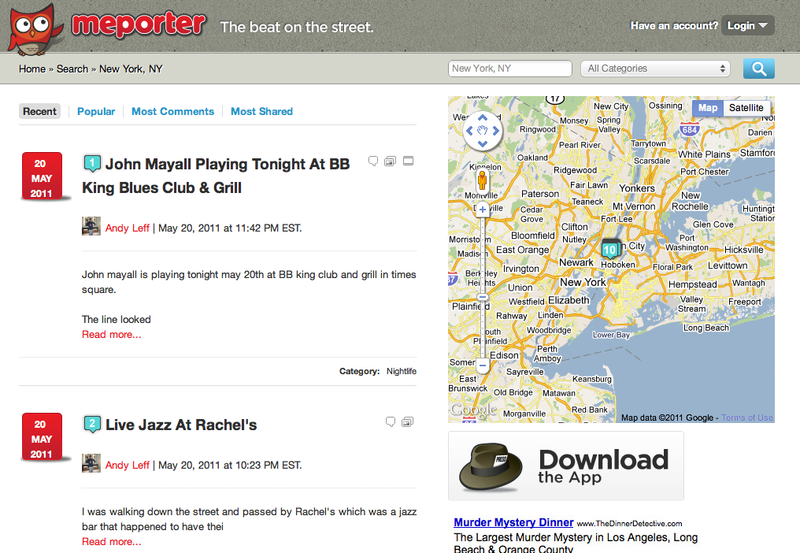 Readers will see a user’s location, can comment on stories, and check in as eyewitnesses. Interestingly, Meporter only allows reporters to post local news – and readers to post comments – if they are on location. 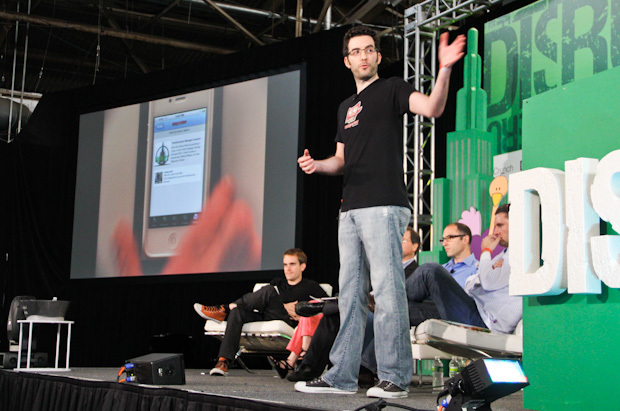 The app allows you to create a Meporter profile that others can view. While anyone online can follow your stories, only people in your area can comment on your breaking news. Meporter also allows users to stay better informed by adding their friends’ news stories to a Meporter news feed, adding Facebook friends and Twitter contacts. When and if content is inappropriate, readers can simply flag the story. Flagged posts are subject to review and cancellation by Meporter staff. When a user posts local news on Meporter, you earn “press passes” (read: badges) for posting their first story, posting to specific categories, and more. (Like BleacherReport and HuffPo.) These press passes can be redeemed for actual prizes in the Meporter Store from sponsors. JC: You break news through Twitter and get news through Twitter. A: Yeah you can push to Twitter. SH: Is there anywhere in the system — editor or curator? The community is self organizing. SH: Let’s say there’s a big story — Empire State Building burns down. And then small news? A: Next release we have a way to filter better. SH: You’re going to need more layers. Rosen’s law 99% of citizen journalism is unreadable. A: There are obviously going to be power users. But you can also filter through your friends. RE: Much of the really good content will get lost due to chronological. Or the Digg system which can be gamed. A: We know there are a lot of things to think about.